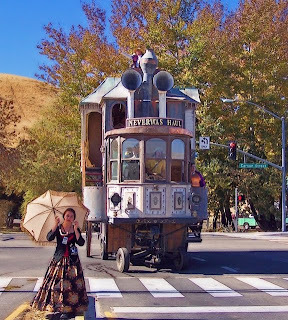 The Neverwas Haul is an imposing 3-storey Victorian House on wheels, which recently returned from a self-propelled trip around the world. 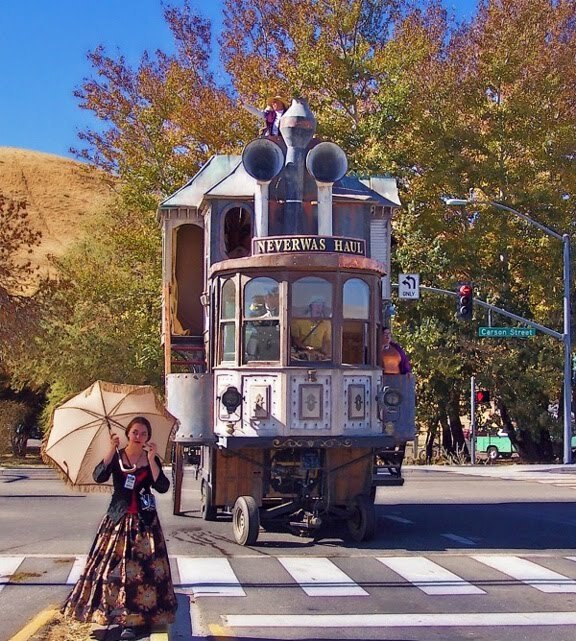 The Neverwas is the brainchild of the Academy of Unnatural Sciences in Berkeley, California, a self-described "do-it-yourself group of tinkerers, gearheads, and steam bohemians who fabricate steam-powered art pieces out of repurposed industrial detritus." Inspired by the Victorian era and writers like H.G. Wells and Jules Verne (the Neverwas' Camera Obscura is a prime example of this) the group initially built the Neverwas Haul as a way to discover the Black Rock Desert, where they visited in 2006 and 2007 during the Burning Man Festival. According to the Society's website, the Haul, which is built on the base of a 5th wheel travel trailer, is 24 feet high and 24 feet long with a width of about 12 feet and is built out of 75% recycled materials. The Hull's Camera Obscura is built on the structure's turret and provides the opportunity for a great view by projecting a series of lenses on a concave screen. 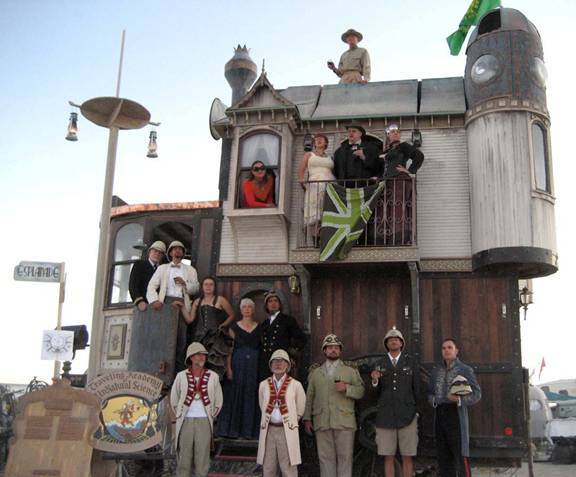 Anyone wishing to be involved with the Neverwas Haul or other Academy endeavors can contact master carpenter and project lead Shannon O'Hare (shannon_o_hare@yahoo.com) for more information. The group most often meets at the Shipyard Labs on Sunday afternoons. The Haul is also often kept at the Shipyard and is rented out by the Academy for events like weddings. Prefer a motorhome rental powered by something other than steam? Check out RV Rental Sales Finder for great deals on renting your ideal motorhome. Remember those teaser photos we saw of the Top Gear guys and their self-built motorhomes? In Episode 4, Season 15 of the show Jeremy, May and Hammond test out their motorhomes as they drive to Cornwall to see how their creations hold up as campers. Judging from this video it seems that while some of their motorhomes were elaborate (especially Jeremy's three-storey pad on top of a Citroen CX), they're not exactly practical. Jeremy finds out the hard way that bigger isn't always better. 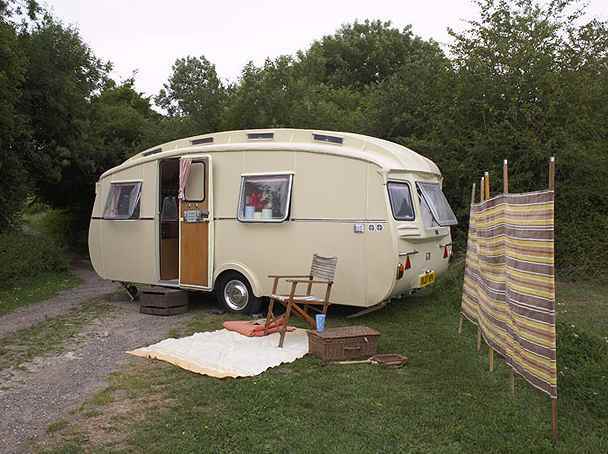 As for May and Hammond, they have problems of their own with their Lotus camper and Range Rover faux-cottage, respectively. Join the Top Gear lads as they attempt to make it to Cornwall with their motorhomes--and themselves--in one piece. 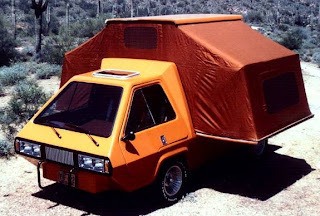 Labels: Campervan, RV, Top Gear's "Build a Motorhome Challenge"
We've been following the trend of increasingly unique motorhome designs for awhile now. It seems that the more people decide a life on the road is for them, the more shape and colours of motorhomes are changing. 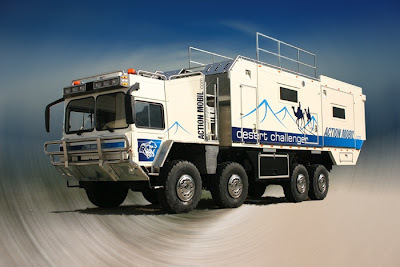 Recently, Dornob.com has featured several interesting new RV models and concept design that show just what an evolution is occurring in the industry. Functionality is a big part of any motorhome lifestyle and many designers and architects are now approaching the idea of developing cars with detachable motorhomes. That is to say, having a car that can function on its own with a high-tech motorhome that can be attached when the itch to get away from it all hits. 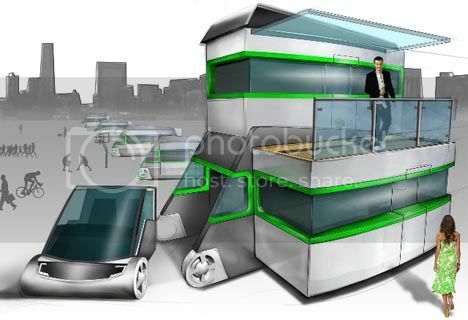 The revolutionary design shown here was developed by Andrew Dutton, with an eye not only to making vacations easier, but also to allow more permanent mobility--like moving from city to city--more feasible as well. Dutton's design includes modern aesthetics paired with space-saving ideas such as convertible furniture to make the most of every inch of space. To make long-term living in such a space feasible one would need to set up regular heating and plumbing, but as a start this design really does delve into something revolutionary. The new Volkswagen Microbus concept is a tribute to the original in style, but is completely modern in its environmental consciousness. The new VW bus is a bio-diesel hybrid filled with modern gadgets not imagined during the time of the bus' first go-round. 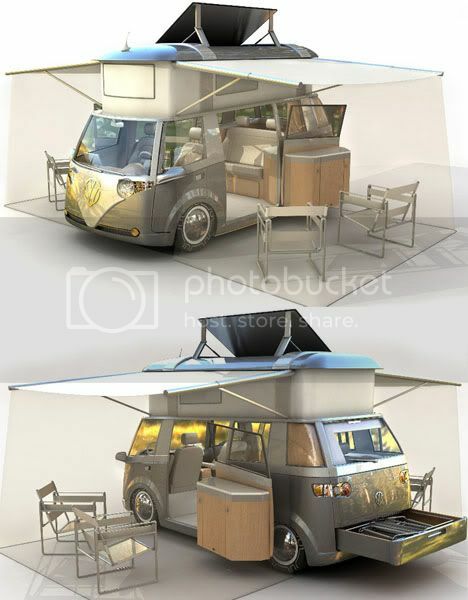 The new design, called the Verdier, after its Canadian designer Alexander Verdier, is all about making the campervan cooler, more functional and more environmentally friendly. 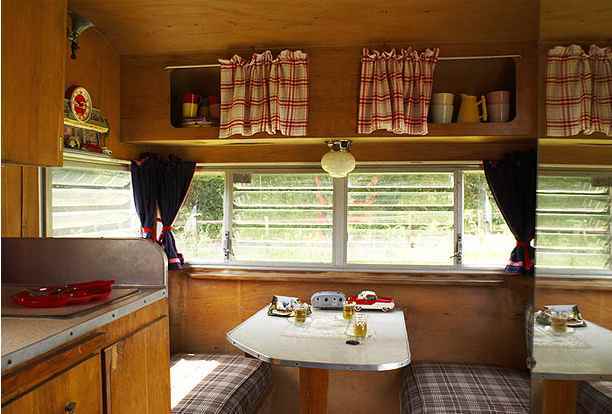 It also features an adjustable roof, various fold-outs, a table and stove, and two awnings. "I want to build a car that’s low impact and makes the most out of nature," Verdier told Wired. "The solar array is one of the most interesting aspects of the car. 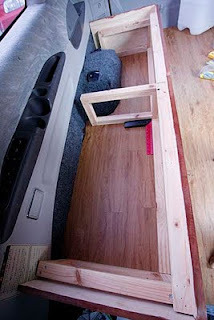 I am using a body design similar to that of the VW Westfalia so that I can maximize the size of the panels but still maintain a van that is compact and kind of like a small house." Continuing the environmental theme, here's a thought: What about if your motorhome doesn't have a motor at all? 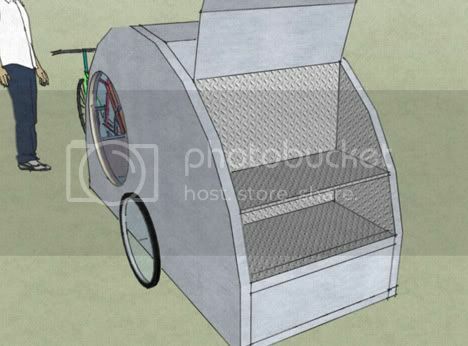 This trailer design for a bike is a new take on making RVs greener. 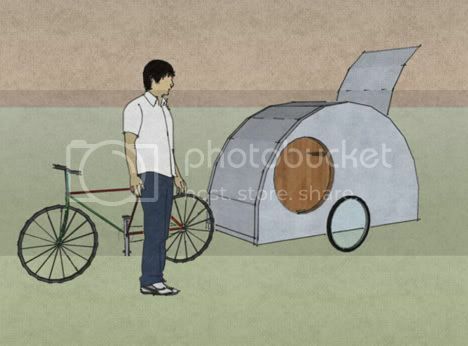 This residential bike trailer, designed by Tiny House Design, is made of foam board, aluminum, plywood and insulation. While the living quarters may be a bit cramped, this idea seems like a winner for a quick jaunt into the woods and as a satisfactory replacement for a tent. 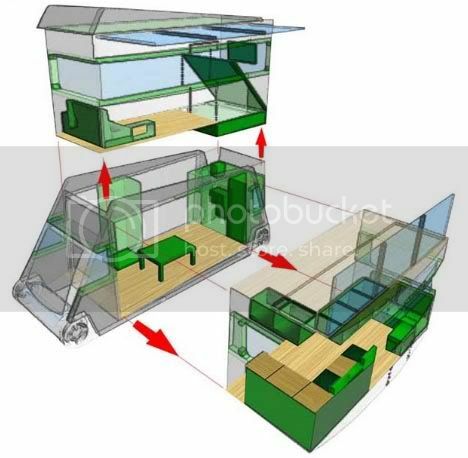 The size of the design means that one person can comfortably sleep in this trailer, which would also come equipped with a kitchen and storage space with either a battery or solar power being used to cook. 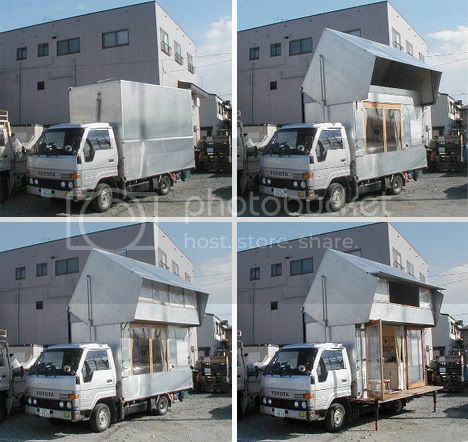 This industrial motorhome is just one example of the ingenuity of the owners of these type of vehicles. 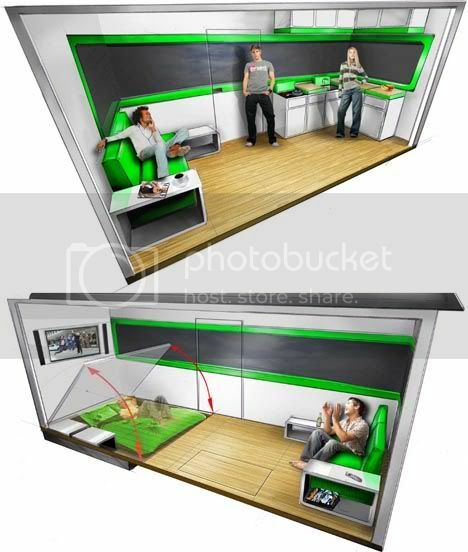 Not only does this model contain all the amenities of your regular RV, but it also has a hydraulic lift! If you need a place to take your stylish new RV, check out Motorhome Roadtrip for great RV vacation ideas. Modifications like custom paint jobs can be used to express identity, loves and even corporate branding. 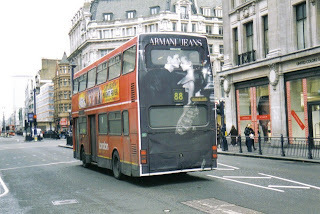 In many of these cases the motorhomes are being used like canvas, as utilitarian art, instead of just being treated like machines meant to transport people from Point A to Point B. 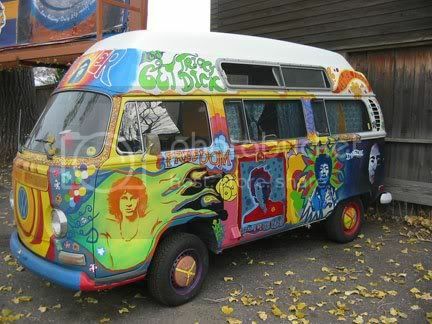 The motorhome above was abandoned and rusting on the streets of Buenos Aries when it was found by artist Louis D'Anjou. 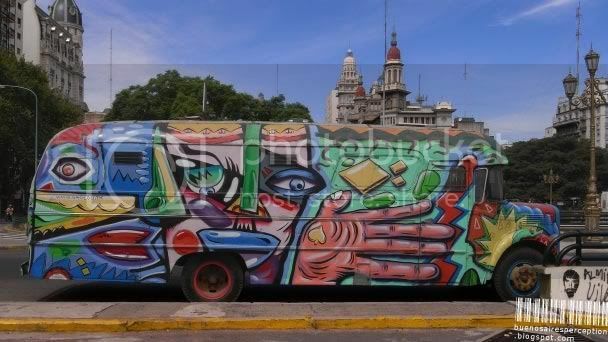 As shown on the Buenos Aries Perception blog, the artist used his trademark faces and lively colours to bring the motorhome back to vivid life. Vehicle meets, where owners of many different types of cars gather, always bring out some uniquely designed machines. The VW campervans above and below, as shown on Car Styling, stand out from the rest and certainly say something about their owners. 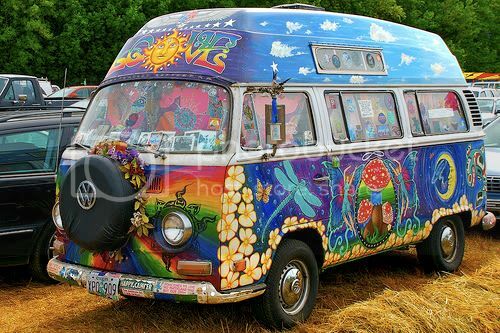 Web 420 compiled a selection of brightly hued and creative campervans to show on their site. While some are personally done others are clearly the work of professionals. If you are interested in painting and modifying your motorhome yourself make sure to check out exactly what type of paint is best for your vehicle and the drying time required. 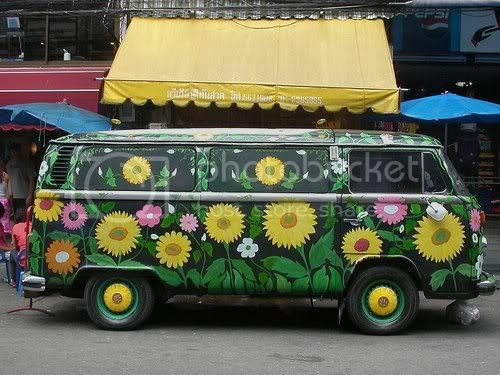 A variation of the Flower Power camper above this motorhome goes beyond just unique. 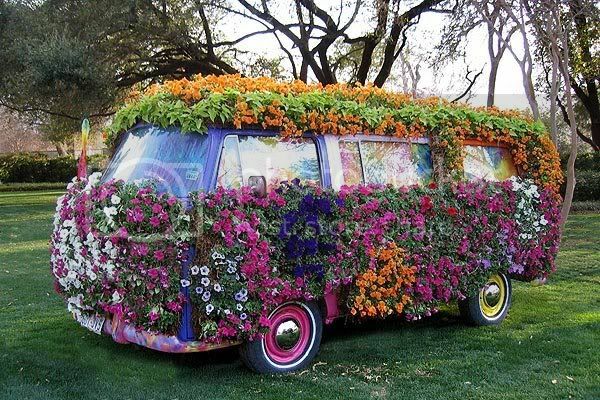 With flowers sprouting from the sides one wonders if you would have to stop for water as well as gas. 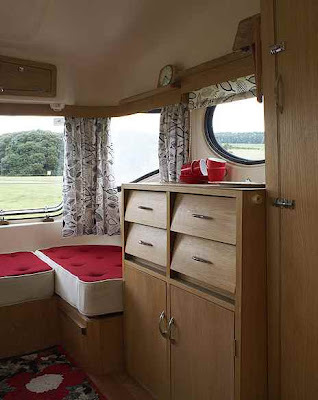 If you're looking to take your newly painted motorhome for a spin, check out Motorhome Roadtrip for ideas on great places to take your motorhome across the world! 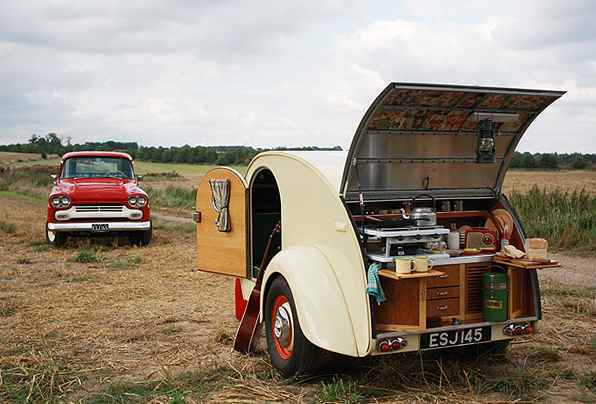 It seems hard to imagine a world without campervans to take to festivals, motorhomes to use at campsites, and RVs to tool around in while on vacation, but that world once existed. When, you ask? A hundred years ago to be exact, according to the RV Industry Association (RVIA), who this year is celebrating the centennial of RVs. Forget the precursor to campervans like covered wagons, according to historians 1910 was the beginning of the RV industry in the United States, beginning with the first mass produced models. The birth of this storied industry can be traced back to the introduction of the Pierce-Arrow Touring Landau model, similar to a modern day Type B camper. The product was launched at Madison Square Garden in 1910. Today RVs and motorhomes have become a fixture in the world's leisure landscape and many travellers are realizing the merit of the open road that a holiday rental RV allows you. 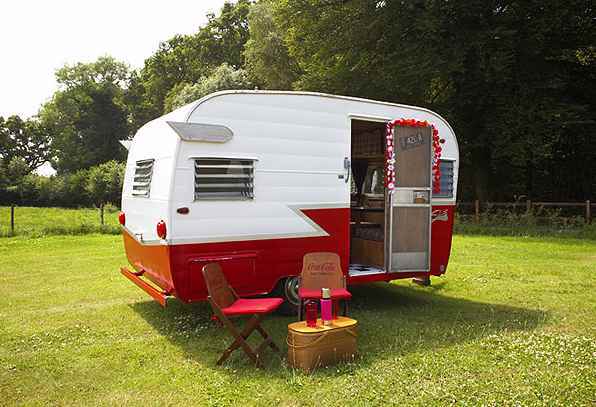 If you are interested in learning more about the history of RVs and actually seeing some vintage models you can drive your motorhome rental to the RV/MH Hall of Fame in Indiana. Open Monday to Saturday the museum caters to families and has items like a 1929 covered wagon trailer that looks something like an older Conestoga. If you would like to celebrate the RV's anniversary along with other enthusiasts then you best book a motorhome rental now and head down to Louisville, Kentucky from July 22 to 25th for The Rally 2010. With hundreds of booths, seminars, a dog show, talent contests and entertainment from the likes of Tanya Tucker and Bob Newhart, The Rally offers something for everyone in your family. Camping costs range from $149 to $369 and include activities. So how are you planning to commemorate the RVs' historic birthday? You can choose to visit the museum in Indiana or the Rally at the Kentucky Exposition Center or you can take to the open road to taste the freedom that comes with a rental motorhome. For great deals on an RV rental visit RVRentalSalesFinder.com. 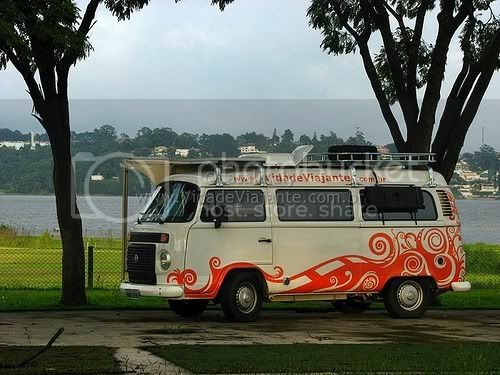 We're all used to seeing classic campervans on the road--usually in neutral colours with spacious interiors meant for discoveries and great vacations. While these RVs are great, not all campervans are of the rental variety and there are many out there that have been customized to fit their owners' needs. Bright colours, unique shapes and great add-ons feature in all of these cool campers and RVs, many of which were customized through ingenious do-it-yourself projects by those who drive them. 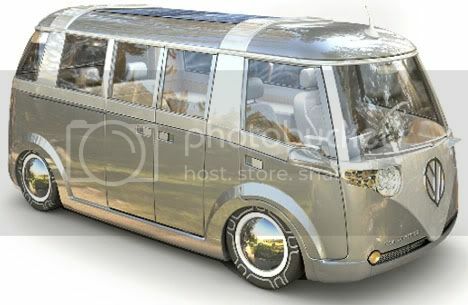 Unique campervan designs abound these days with people more eager than ever to own something completely different and customized to their personal needs. The bright orange van above is kitted out with a tent, perfect for those weekend getaways in the woods. Also featured on the Kustom Bart Blog is this Tom Cyr-built creation. 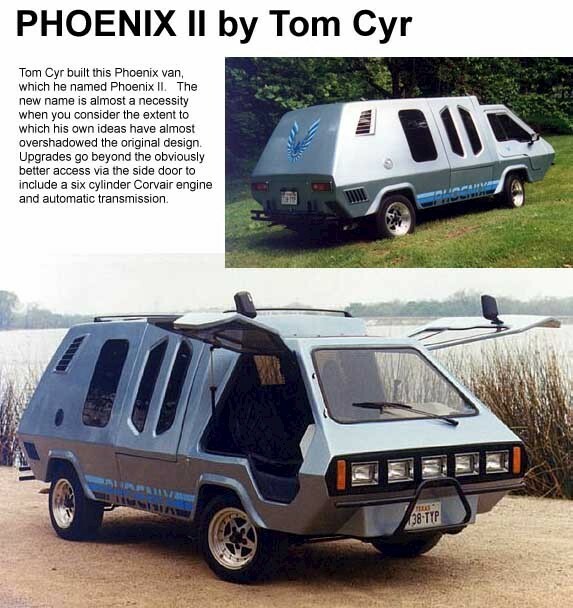 Built on a VW chassis, this unique design is called the Phoenix II and has many upgrades over the original Phoenix Kitvan. We're talking automatic transmission, better door access and a six-cylinder Covair engine. 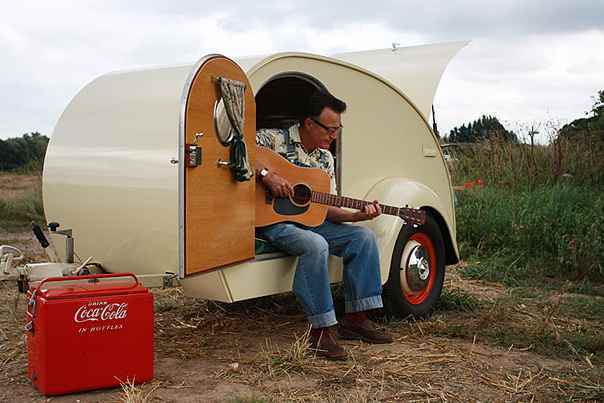 The cool driver and passenger doors are just the icing on the cake. 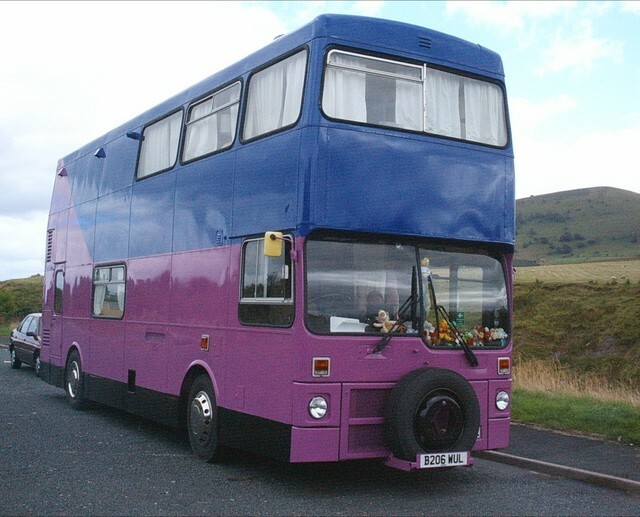 Another impressive motorhome project is this overhaul featured on The Bus Project. The site's founders chronicle their journey in transforming a regular double-decker public bus into their ideal family home on wheels. The finished product is both bright and spacious. When on the road this bus certainly announces its arrival. The look is not only fun and lively, but the interior space makes it possible to take the vehicle on long roadtrips, which include the members of the two families who have undertaken this mammoth renovation project. 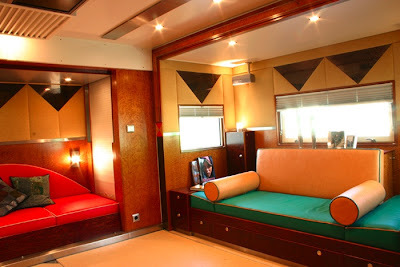 The interior of the refurbished bus is decorated in tasteful neutrals and includes all the comforts of home. The families faced some major challenges, including incorporating the necessary equipment to facilitate ease of travel for one of their children, who has special needs. 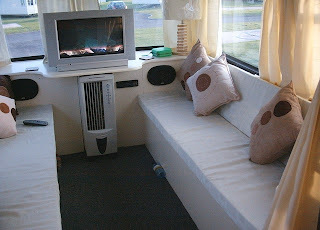 The motorhome includes a comfortable seating area to watch TV, play games and enjoy family time. 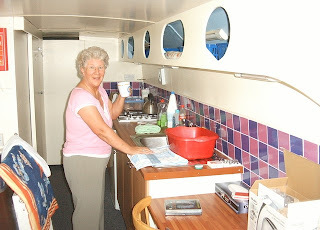 It also features bedrooms and a well-stocked galley kitchen that means the families can be completely self-sufficient when on the road. 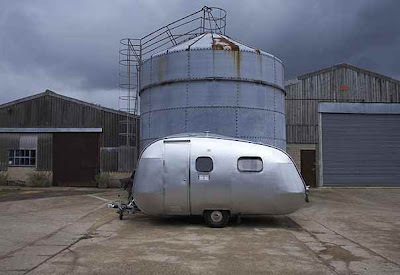 Avid traveller and computer technician Stephen Stewart created this tank of a campervan to continue his exploration of the world by road. 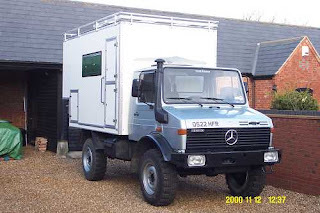 Stewart built a body made of GRP and plywood onto this Unimog U1300L, which used to be an army vehicle. No doubt one of the more fierce motorhomes on the road today, Stewart's creation includes a shower room, kitchen and living area. 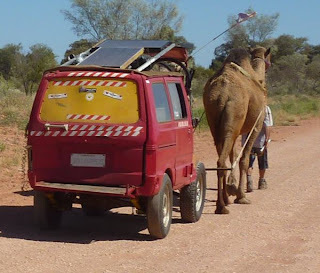 Quite a change from the heavy-duty campervan above this camel-powered vehicle was photographed by the good people at Pure Travel near Alice Springs in Australia. 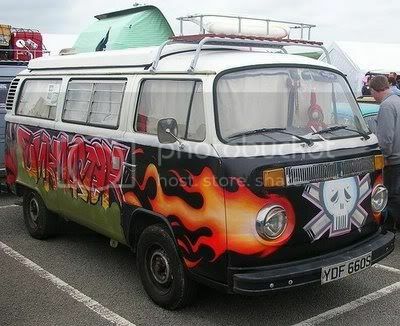 Slightly less powerful than your usual RV this campervan is clearly for those who enjoy life in the slow lane. 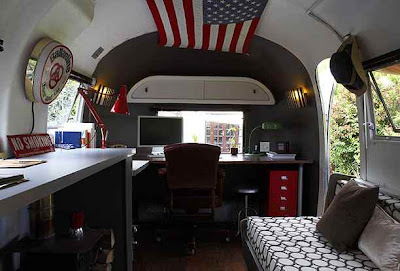 If you've been inspired by these cool campervans and design wizards who have made their RVs into vehicles that are perfect for them, then you might consider the project undertaken by a couple from Vancouver. On their I Am S.A.M. the Van blog the duo supply a glimpse into the steps for their DIY campervan sofabed. 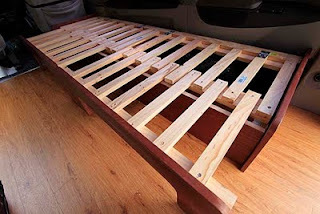 As an alternative to their van's rooftop tent the couple used wood, hinges and power tools to fashion a bed that can be used for both sleep and storage. 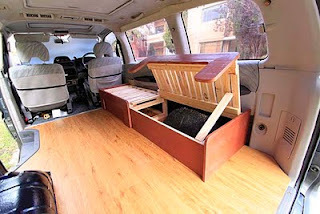 Proof that a little ingenuity and elbow grease can make your campervan into everything you want and more. Looking for a no-muss, no-fuss campervan with bed already built in? 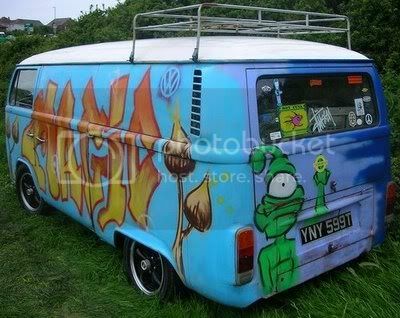 Then head to RVRentalSaleFinder.Com for some cool deals on even cooler campervan rentals. Self supporting sandwich plate panels of fibre glass composite. Wall thickness 2,40” (61 mm) with polyurethane foam insulation, reinforces polyester. entrance door and storage doors constructed of fibreglass composite plates and frames. Thickness of doors 2,40” (61 mm) . Additional retractable bolts at top and bottom of entrance door. Burglarproof, scratchproof top hinged ACTION MOBIL-windows. Double insulated thermal window glass. special, high quality Shutters and moskito nets. Custom control panel to control powermanagement and liquide storages. Battery main switch, savety cutout, fault current breaker. automatic I-U shore charger with cell temperature sensing. Power plugs for 12 V DC, 24 V and 230 V AC. 5 U.S. gallons (22 l) l hot water-heat exchanger. waste water tank, 37 U.S. gallons (140 liters) . Water faucets in bath and kitchen are built due to highest household quality standards. All plumbing is insulated to prevent freezing. 2 x 11kg gas bottles to be serviced from outside. Porta Potti toilet with water flushing. to radiators in living area and towel radiator in bath area. No parking space? Create your own with the Desert Challenger! 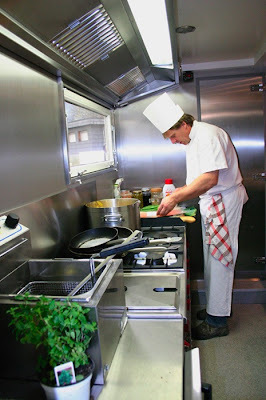 Have a master chef cook up some Wiener Schnitzel at the end your journey. 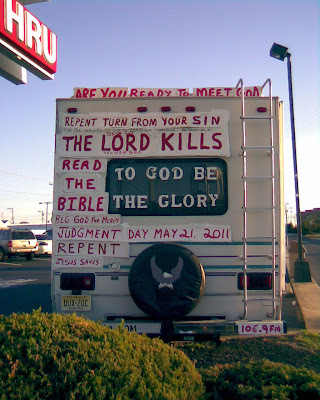 Click here for more on this RV. The May 21 2011 Reference can be found here. 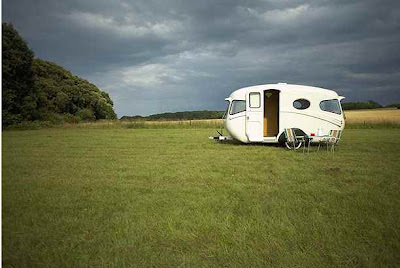 Get your Motorhome Rental before Doomsday arrives - and get a great deal at Cheap RV Rental. Chances are you don't have enough legroom to fit into the Barbie Motorhome. Why not check out some Luxury Motorhome Rental at Star Drive RV Rental? It's a proven fact that any campervan unfortunate enough to come across the path of a Top Gear host is unlikely to survive the week. This time the Gear guys seem to have outdone themselves. Digging deep into their childhood memories they have come up with the idea to play conkers with, well, campervans. Naturally. 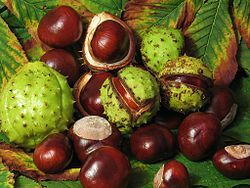 For those who haven't had the pleasure, Conkers is really a simple game where two people choose one nut each and then place them on a string. The nuts then get swung at one another and the person whose conker breaks first loses. 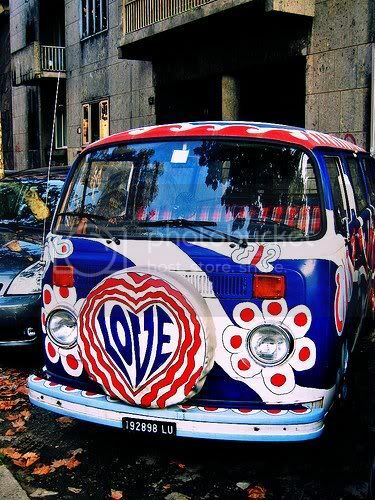 The first step to winning the Conkers with Campervans challenge is choosing the vehicle you are sending into battle very carefully. The clip above illustrates how it came to be that a 1983 camper complete with port-a-potty faced off against a 700 kilo behemoth. Sound fun? 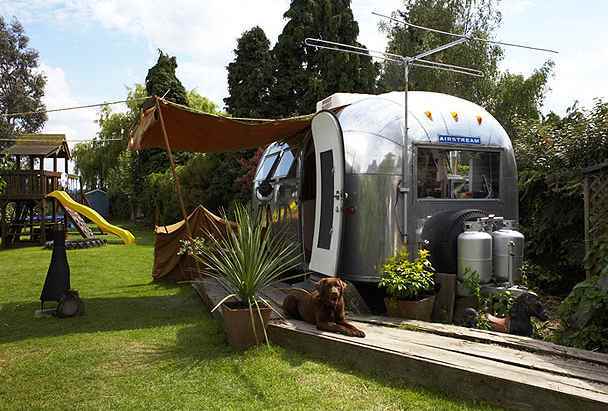 If you promise not to play Conkers with these caravans, you can get a sweet deal on travel trailer rental! Modern motorhomes and caravans are cushy, convenient and offer all the comforts of home, so it's easy to forget that things weren't always this way. 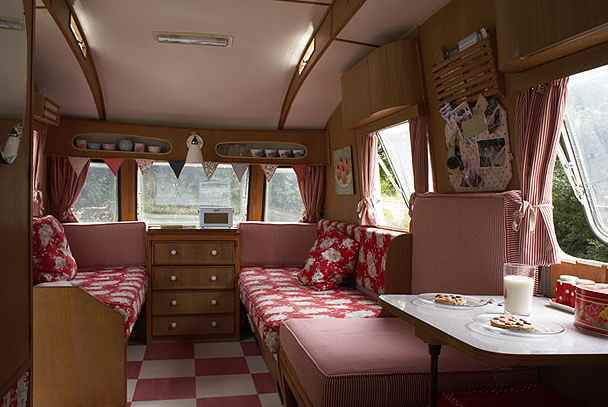 Not only were the shapes of early caravans different from their modern counterparts, but their interiors were nowhere near as luxurious. 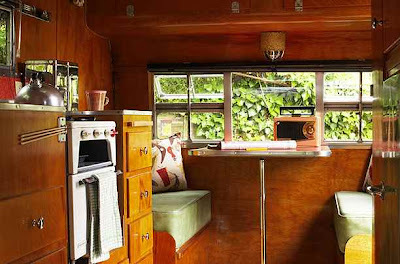 Still, to many there is something about a vintage model that appeals and with a little love and TLC these older versions of modern motorhomes--some so rare there are only three or four left in existence--can truly be transformed into something special. 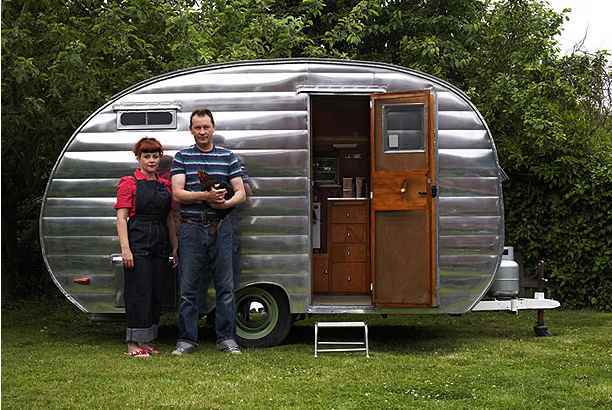 Read on to learn more about several different retro travel trailers and how they've been repurposed for modern use. While retro isn't bad, if you want the best of modern travel trailer rental, go to traveltrailerrental.net.